Paul Randolph is a leading British mediator, trainer and writer, whose work emphasises a focus on the psychology of conflict and conflict management. He mediates in a wide variety of legal areas, including commercial, family, property, employment and workplace, personal injury and professional negligence. He helps those in a dispute reach both a good practical result and an outcome that achieves appropriate emotional ‘closure’. Paul Randolph is an accredited mediator (CEDR, June 1999 and SPC, May 2000), and barrister. He practises from Field Court Chambers in Gray’s Inn, London. 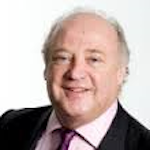 He is a member of the UK Bar Council ADR Committee and a Board member of the UK Civil Mediation Council. He is also a member of the Slynn Foundation, the European Mediation Network Initiative, the International Mediation Institute, and the International Bar Association (IBA). He is an External Examiner for Law and the LLM at Kingston University. Paul leads the mediation training course at Regent’s University, London, which he designed with the late psychologist, Dr Freddie Strasser.